Everything Fitz, or The Fitzgeralds to use their proper name, are two sisters and a brother with a knack for Canadian folk. Yesterday our very own head chef Rachael Williams and Manager Stef Marshall received the “finalist” award on behalf of Roger and Helen and The Wilton Court. Roger and Helen transformed the beautiful Elizabethan building on the banks of the Wye with a complete refurbishment, including an intriguing collection of decorative curious and objects d’art collected by Helen and Roger from their time living and working in the far east. The result is an enchanting 11 bedroom riverside restaurant with rooms. We are all very proud to of won another award from the Forester. The draw this year is a chef’s theatre, where you can watch the best local talent whip up masterpieces. 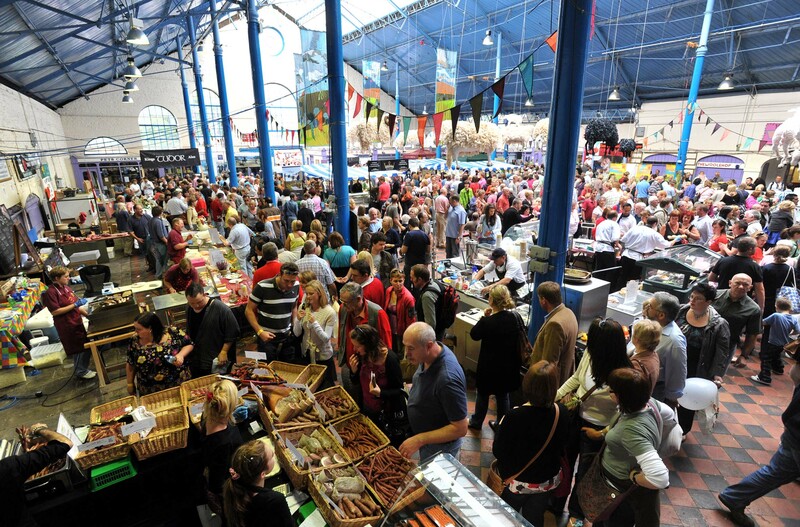 A producers Market with over 30 stalls representing the best of local food will send you home with full bags and tummy’s. The Monmouthshire youth service will once again be hosting the children’s corner. The Quarter promotes healthy alternatives to high fat and sugar snack food and drink as well as creating activities where young people can have fun. Join them for a 5 day celebration of music and listen to world-class artists perform, inspire local children and teach talented students from the best music colleagues in Britain. 15 glorious walks including the opportunity to take a river cruise, enjoy a cream tea or take a steam train ride.